I used to drive past the 85 Degrees Coffee (85 Degrees Celsius Bakery Cafe) in Kingsford on a regular basis and always thought that the cakes displayed looked amazing and that I must visit sometime. However, I never managed to get there in the time I lived in the Eastern Suburbs. 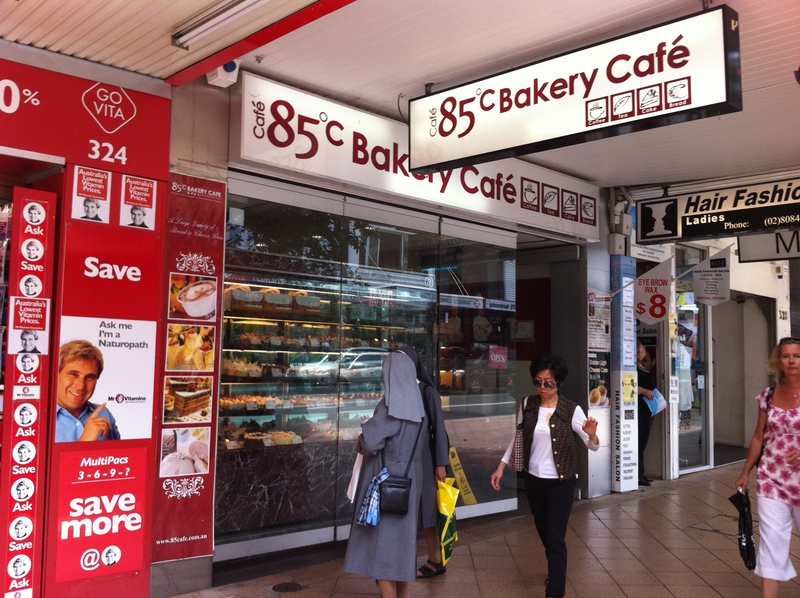 When I started working in Chatswood I realised that there was an 85 Degrees Coffee there too. I put off visiting the one in Chatswood for awhile thinking that there was a chance I couldn’t eat anything there and also that they wouldn’t understand me asking for gluten free options. Though, one afternoon I was craving something sweet and thought I would give it a go. The lady at the counter was very friendly and said that she would ask the chef whether I could eat anything. It actually turned out that they had a list behind the counter of what items were gluten free! The list had three options: the U.S. Cheese Cake (a creamy and delicious cheese cake), the Blueberry Marble Cheesecake (a deliciously creamy cheese cake enriched with fruity blueberry swirled topping) and the Italian Chocolate Mousse Cake (an exotic dark chocolate mousse cake with a touch of orange liquor, garnished with coco powder and chocolate sauce). I choose the U.S. 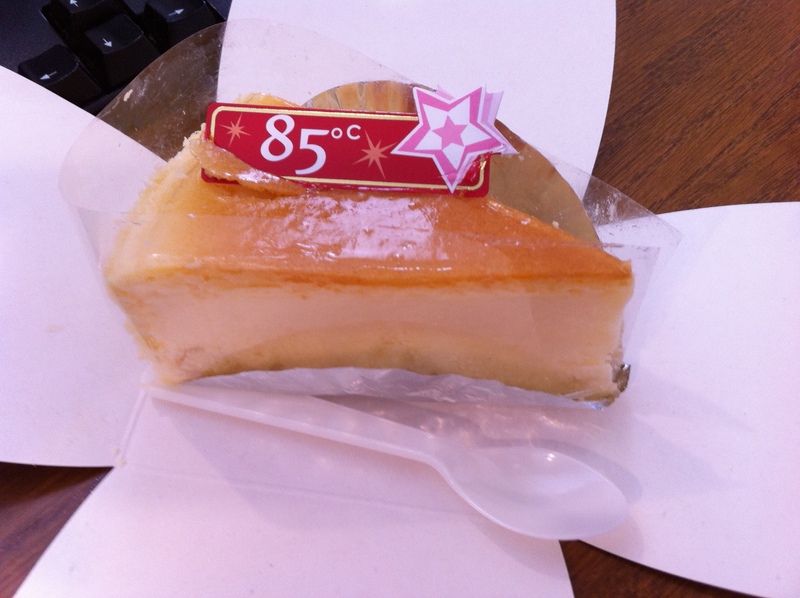 Cheese Cake which they packaged up for me in a cute carry box. It wasn’t the best cheesecake I have ever had, however it was nice and creamy and a good size and I would be interested to try the blueberry marble cheesecake to see if it has a bit more flavour. 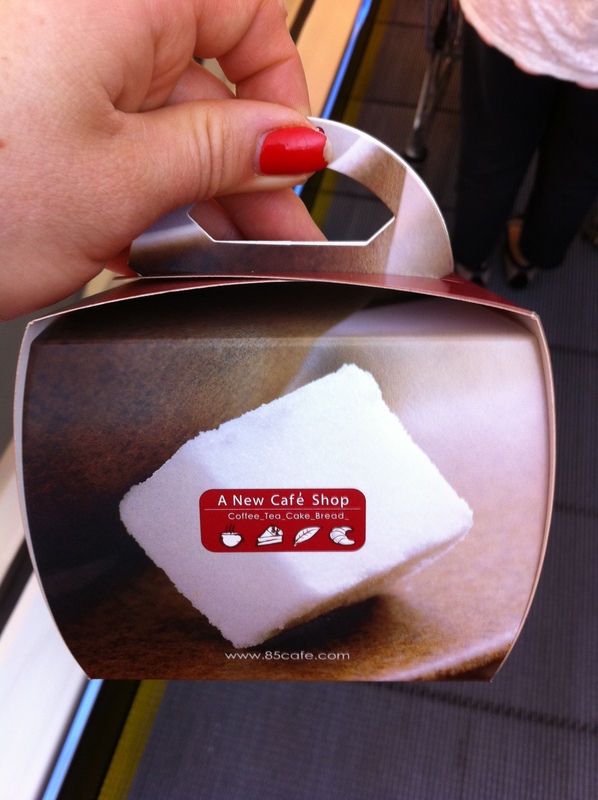 85 Degrees Coffee also has stores in Sydney CBD and Parramatta. Have you ever had anything at 85 Degrees Coffee?